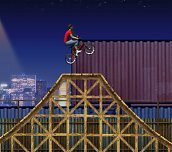 BMX Master is a great sports game in which you can ride a bicycle. 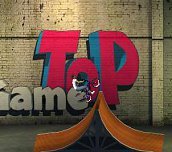 In each round you will be challenged to get the required number of points, which takes you to the next level. Earn points for each trick you do. 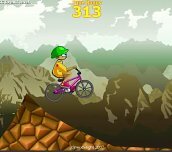 However, if you fall off the bike, the score will be reset and you have to start over. 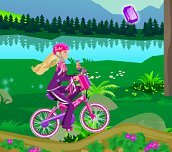 In this game, favorite Barbie decided to go into difficult terrain by bike. Along the way, has the option to collect the gems for points and individual pieces of clothing and equipment. When you get right, you'll be able to change clothes collected icons and Barbie for real change.